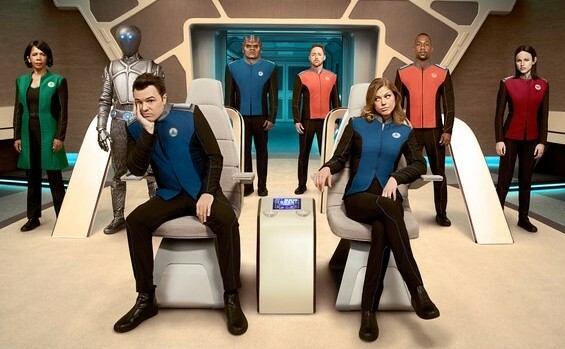 When The Orville premiered on Fox, most of the marketing made the show out to be a comedic space adventure, with a touch of laser battles and a '9-5 workers' mentality on the bridge. But I decided to check it out... we needed a new space-faring series that might be OK to watch. 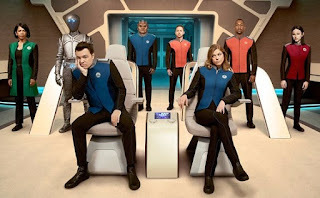 The series cast includes Seth MacFarlane (show creator), Adrianne Palicki, Penny Johnson Jerald, Scott Grimes, Peter Macon, Halston Sage, J. Lee and Mark Jackson. They've had some great guest stars like Norm MacDonald and Charlize Theron. Turns out though that the first episode had some comedic moments to make it a funny kind of Star Trek, the ensuing episodes started getting slightly more serious as they addressed racial and social issues, personality trait differences and what not. But every now and then, as the show gets its legs under it, I find myself actually laughing out loud pretty good. Seth MacFarlane stuff on Amazon. Then there are things like when the ship had a space-clown terrorizing the ship. I say no more on that one. Aside from space-clowns, it turns out that they've rounded out the show with serious story lines peppered with a bit of crass or silly humor spots. But overall, The Orville is like Star Trek, but peppered with real-life complexities and problems, dealt with stupid and smart reactions. I mean, come on, the captain's first officer is his ex-wife, whom he left because she was cheating on him. One of the ship's crew members is a pile of oozing sludge, another, a mechanized humanoid from a species of the same and other interesting different races on the ship. It makes for interesting moments and perspectives. Some people wonder why Fox has not been sued yet by Paramount because of how similar the show is to Star Trek. 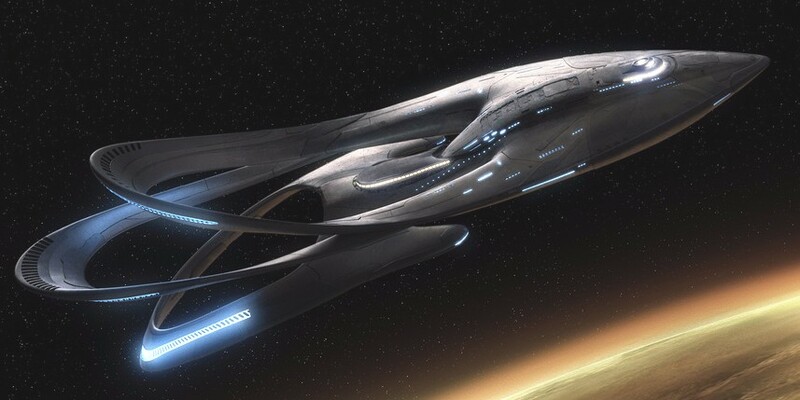 My take is sure, it seems similar and yet if you're going to have a space-faring series, you'll need ships, bridges, shuttles, lasers and the like that I don't see how any space-based series can't avoid being something like Trek. At least they don't transporters or warp speed! The only real solid similarity I see is that the reality of the show takes place in a no money society and they live in a 'Disney clean' world, unlike other franchises that try to make their franchises more dirty, gritty or what not. Otherwise, I'm not sure how much you can differ a show. The show has events that take place that can impact latter episodes, but you don't need to watch the entire series to watch the latter episodes and be brought up to speed on past events when they become relevant. You'll never hear in Star Trek the navigator say "hang on to your asses" or while being chased by a giant space spider, a crewman yelling, "I quit working on this ship!" while running from it. It's stuff like this that makes this more fun or real than Trek, if you can call it that. 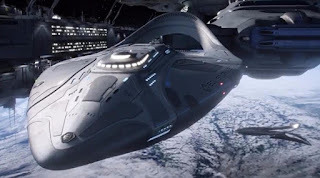 Altogether, if you miss (or don't care about) Star Trek and have not fallen for CBS's efforts to force you to subscribe to their All Access streaming service, you might want to give The Orville a try for a few episodes and see what you think. Collect a few episodes on your DVR and take some time on a Friday or Saturday night and kick it and see what you think. To be honest, the show makes more sense in the long run when you binge it.